Fibo wall panels have been used to clad the whole interior of the new-build Chiseldon Nursery in Swindon. The new nursery was built in just 22 weeks using timber frame and prefab insulated panels for a fast-track construction. A range of Fibo panels in different colours and designs were fitted throughout all seven rooms of the nursery. 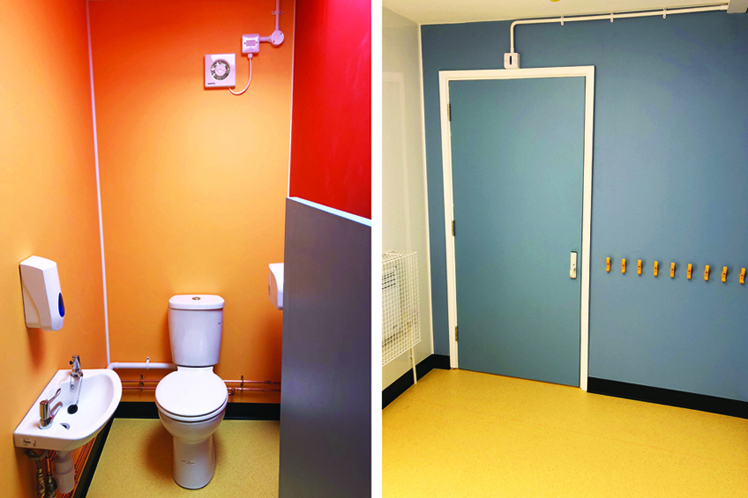 The wall panels provide a watertight system that can be used in bathrooms, kitchens and as a decorative wipe-clean wall surface — ideal for educational buildings. Made from laminated birch, the tongue-and-groove Aqualock design means Fibo’s panel system is fitted quickly and easily, with a seamless waterproof finish. The system comes with a 15-year guarantee and provides a high quality, long lasting surface. There is no grouting to clean and replace and no mould growth, which means the panels offer low maintenance.